Japanese manufacturers can be pretty airtight and I don't mean the brand. Just look at the most important Japanese quarterly magazine Stereo Sound. You will find many reviews and ads of brands nobody outside Japan has ever heard of. There's Tech DAS (although a recent Stereophile review makes it a flawed example), Technical Brain (here The Abso!ute Sound is trying to change things), Kripton Japan, Fundamental, U-Bros and many others. The fact is that Japanese manufacturers focus their attention and efforts on their domestic market. Obviously there are also giant well-known corporations and brands like Sony, Panasonic, D&M Holding (Denon, Marantz), Yamaha, Onkyo, TEAC (Esoteric, Tascam) but these focus on mass-produced electronics, not high-end audio [owners of Esoteric's top models would beg to differ – Ed]. There's also a third category decided to global which are mostly quite small firms often employing less than ten people. 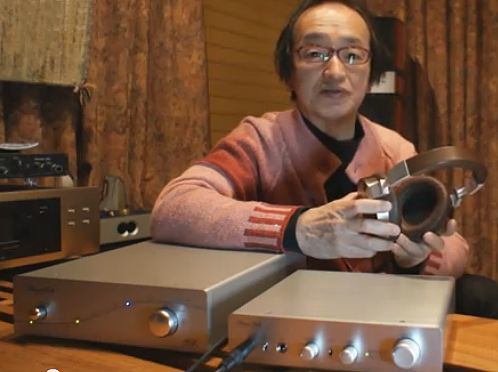 These are brands like Accuphase, Luxman, Kondo, C.E.C., Furukawa, Oyaide, Leben, SPEC, My Sonic and Miyajima Labs. I think it's fair to include Phasemation, a brand owned by Kyodo Denshi Engineering Co. Ltd. There's a current problem with its brand awareness as only two years ago it was called Phase-Tech which many audiophiles would probably still recognize. When the company decided to enter Europe they had to face the fact that their name was already registered there. So they came up with Phasemation. Their core activity is cartridges and phono stages. A few years ago they added two more items – a D/A converter with K2 digital filter and a proprietary master clock. Recently Phase-Tech added preamplifiers and power amps. 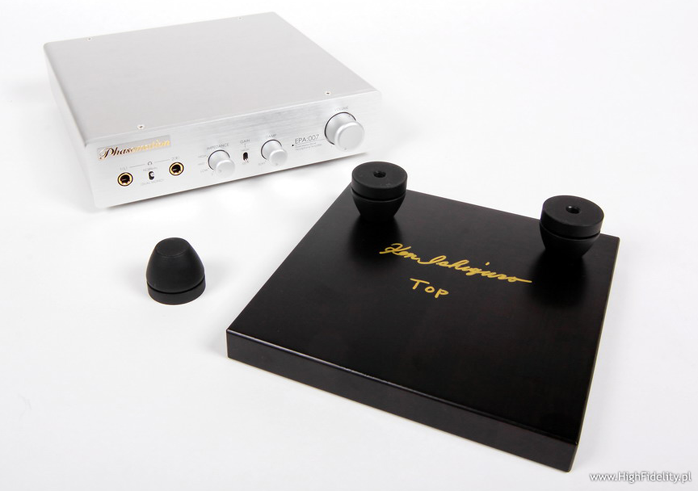 Exclusively for the Japanese market they also make a CD transport and integrated amplifiers. 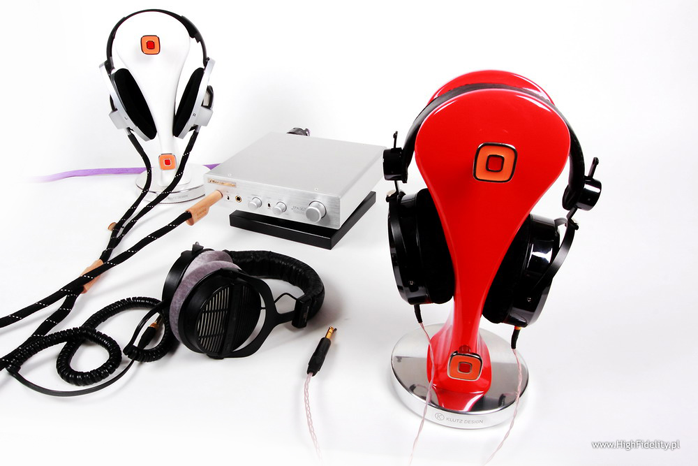 For review we received the latest addition to their portfolio, the EPA-007 headphone amplifier. 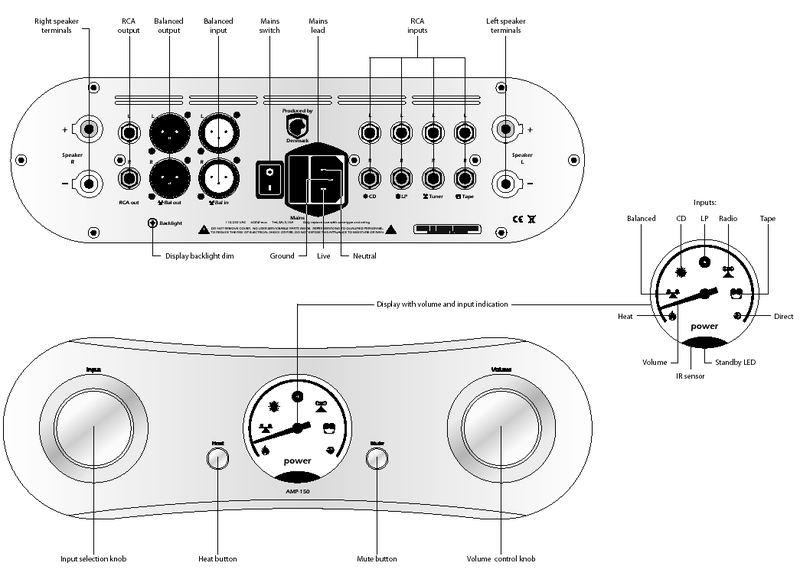 It's a small aluminium box that contains a fully balanced circuit with two headphone outputs that you can use for two pairs of cans with classic 6.3mm plugs: or for one pair with a balanced wire harness that terminates in twin plugs [with discrete grounds for each channel – Ed]. Unlike many other amplifiers this is not a basic design as it gives its user some adjustments for loading and tonal control though not in the classic sense. ...Michael Jackson Thriller. 25th Anniversary Edition, Epic/Sony Music Japan, EICP-963-4, CD+DVD (1982/2008); Michael Rother Fernwärme, Random Records/Belle, 091546, SHM-CD (1982/2009); Miles Davis Seven Steps To Heaven, Columbia/Sony Music/Analogue Productions, CAPJ-8851, SACD/CD (1963/2010); Pat Metheny Group Offramp, ECM, ECM1216, CD (1982/1999); Pat Metheny Group Offramp, ECM/Universal Music K.K., UCCU-9543, 'Jazz The Best N° 43', gold CD (1982/2004); Pat Metheny Group Offramp, ECM/Universal Music K.K., UCCE-9144, SHM-CD (1982/2008).